Brass tin-plated 4.8mm x 0.5mm. Buying in pairs makes these connectors quite expensive, the option to buy 6 or 10 should be available, not everyone wants 2 or 100. Couldn't buy anywhere else.on the web. What size shrink wrap works best with these piggyback adaptors? Thank you for your enquiry, you will need our item number 41991. If you input this number in to the search box & it will take you straight to the part. Im wanting to run an exposure revo light and a zzing cache battery ,how do i wire them toghether ? Do i need a piggyback connector? Cant find any videos anywhere. I have a SON hub. 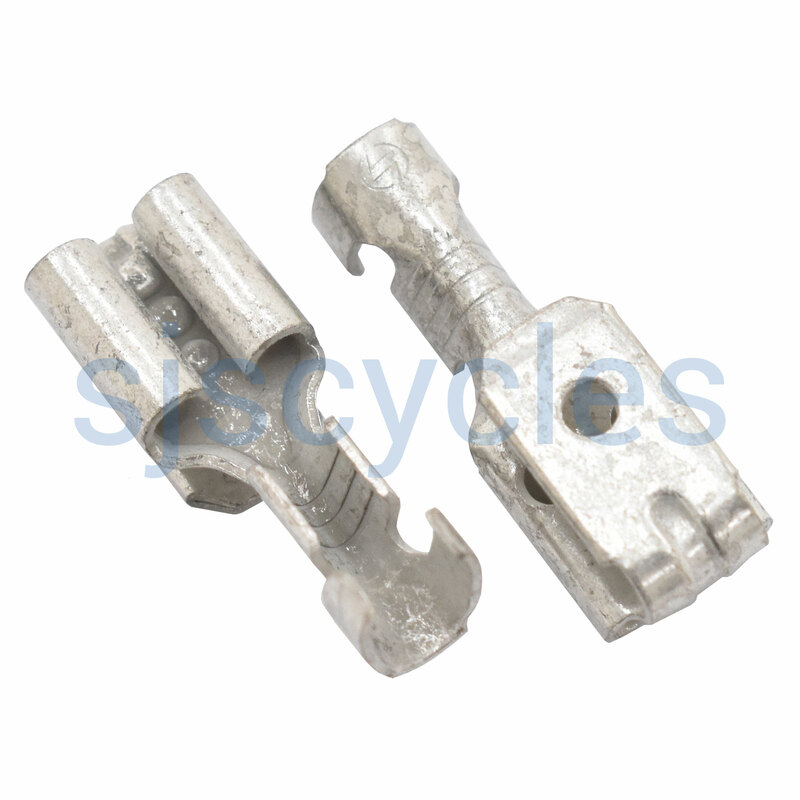 If you're trying to wires two things into your SON hub then these piggyback connectors are what you require.